Please update the app to have the best experience: we continuously improve performances and we fix bugs. 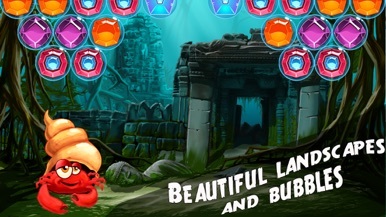 We are the creators of Bubble Shooter Adventures license! 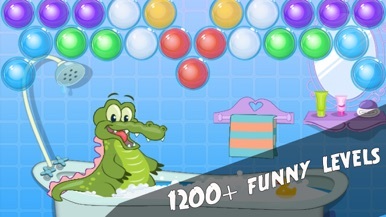 Bubble Shooter Adventures is the most addictive and free bubble shooter game played by more than 6 million Players across the world! 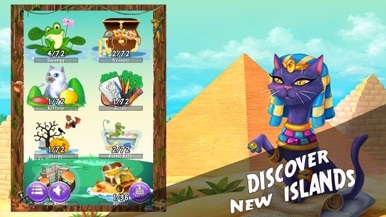 And Best of all: 8 islands with beautiful graphics and more than 550 levels are totally FREE to play! It's simple! Tap on the screen to shoot the balls! 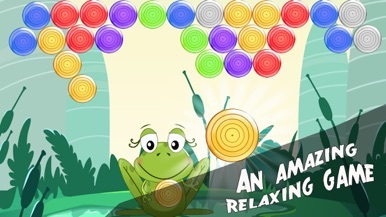 It's fun, relax and zen! 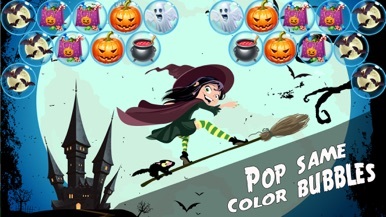 The graphics, the colors, the motion! This game doesn't ever get old. there aren't any bugs everything is good. I give 5/5. No problems here, Relaxing and super cute! I'm using an iPad Air, and I didn't have any problems with the game opening the iTunes Store. This is a very cute bubble popper with. Ton of great free levels and more in different styles to unlock. The controls are simple and it looks and plays great. Lots of fun to relax with. Love this app, I've been playing it for over a year now. It's great for just unwinding and killing some time. The easy setting is good for learning and the hard setting is quite challenging in parts requiring thoughtful planning and strategy for several levels. I like this simple game. Great way to pass the time. Radio on the move has never been more exciting. With the Signal 1 App you can now… • Listen to your favourite station. • Text, email or call the studio at a touch of a button. • Get the latest news, weather and travel. • Buy music and read more about your favourite artist. مجاناً لعيون المسلمين مجموعة مختارة من الأسئلة و الأجوبة لكبار علماء المسلمين المعاصرين.. أكثر من ٦٠٠ سؤال بإجابات شاملة ووافية شافية لها. ١٥ موضوع للأسئلة يجيبها شيوخ في حجم الشيخ محمد صالح المنجد و غيره ممن من الله عليهم بالعلم الواسع. الآن في وسعك أن تقتني تلك الإجابات في كل مكان في جيبك لا مزيد من البحث عبر الإنترنت عن إجابات ..
Google Translate is something more than a simple translator: it’s a real must have in our iOS. Actually, Google Translate is one of those apps that once we have given a try, we cannot live without. There are not too many features, although: text-to-speech, voice input, history/star favorite translation and sms translator. What it’s really amazing i….